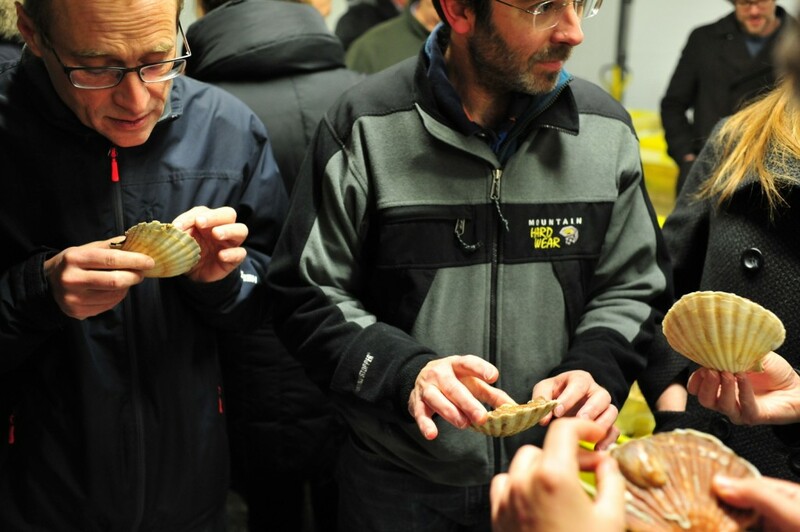 In a previous post outlining the successes and challenges of the first GAP2 Channel scallop workshop in Brixham, England I spoke of the importance of bringing industry and others together to engage in participatory and collaborative dialogue on achieving greater profitability and sustainability for this valuable fishery. I also emphasised the need for a follow up workshop focused on putting dialogue into action and mapping out next steps to develop a regional management plan. The follow up workshop, which took place in Normandy, France earlier this month, achieved our shared goals. 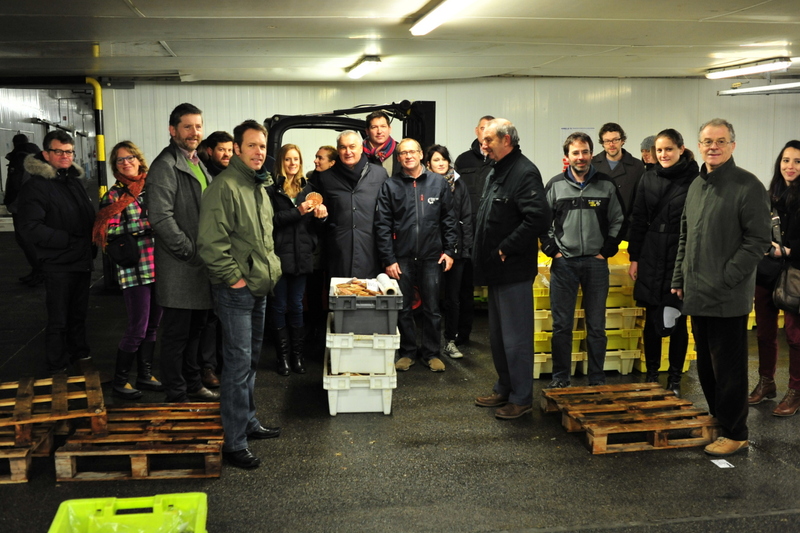 EDF once again teamed up with WWF-UK and the GAP2 Project to deliver an action-oriented event which focused discussion around the specific needs of this fishery and encouraged participants to put dialogue into action. Over 55 participants from both sides of the Channel involving industry leaders, scientists, policy-makers, NGOs and others; applied their expertise, skill and passion to work through more concrete ideas for building a sustainable, profitable future for the Channel scallop fishery. Developing an industry-led working group to govern and lead future discussions on Channel scallop management. This group might operate most effectively through a sub-group of the North Western Waters Advisory Council (NWWAC) where a well-functioning governance model already exists for Channel fisheries issues. Establishing a science and data focus group with the aim of designing regional protocols for data collection on both sides of the Channel. A more standardised approach to data collection and analysis was identified as key in securing a robust evidence-base to inform future stock management. Recognising the need for harmonisation without homogenisation. This means enabling fishermen and fishing representatives to respect that different segments of the fleet operate in different ways. However, while there may be managerial and cultural differences in the way people fish, it’s clear that all those accessing a shared resource must do so through a common vision. Industry has a timely opportunity to build on the momentum and positive engagement from both the Brixham and Normandy workshops to drive forward change. Next up is the NWWAC meeting in Bilbao, Spain in April where the GAP2 scallop team will have an opportunity to present the workshop ‘roadmap’ to Council members. We look forward to Mr. Lefevre putting dialogue into action when he proposes the idea for a ‘Channel scallop working group’ to the Council. The opportunity for change has never felt so big. John Hermes, Chair of the UK Scallop Association, said it well when he spoke of the “need to embrace the four C’s: collaboration, communication, companionship….and calvados!” The GAP2 team would like to add their fifth ‘C’: courage. This entry was posted in Europe, International and tagged collaboration, Data Collection, English Channel, Gap2, regional management, Scallops, stakeholder engagement, workshop. Bookmark the permalink. Both comments and trackbacks are currently closed.